If your child plays sports, you know how all of the expenses can add up! Maybe you’re planning an upcoming missions trip and you need to raise money for your airfare. Know a family who needs help with medical expenses? We all have different reasons why we need to raise money. I have a solution for you that’s easy and profitable! Cards for a Cause is a great, easy way to raise money for an upcoming mission trip, sports team, church, medical expenses, and more! Whether you need to raise $50 or $5,000, this fundraiser can work for you! Contact me to get started! Tired of selling candy bars, pizzas, or wrapping paper? 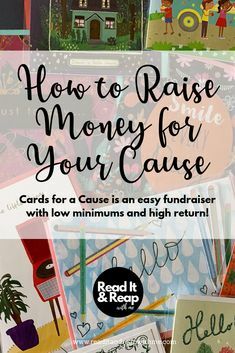 Cards for a Cause is a fun way to raise money for any cause. 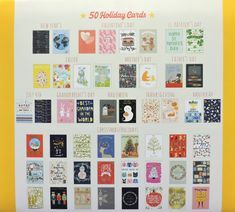 Choose from one of five boxes of 30 greeting cards — the holiday box even has 50 cards! Each greeting card is unique, high-quality, and comes with a matching envelope. Choose from an two All Occasion boxes, a Holiday box, a kid’s birthday box, and a Thanks & Blanks box. Each card has an embellishment like a rhinestone, pop-up, metallic lettering, or glitter. These aren’t your run-of-the-mill greeting cards, plus each card comes with a matching envelope. 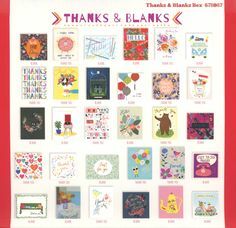 These cards are great to have on hand of give as a gift! Teachers love them! Raising money for your organization with a Cards for a Cause fundraiser is simple. Let’s chat about how I can help you reach your fundraising goals. Promotional graphic that can be used on social media or in print. Woo hoo! I’m so excited to help you reach your fundraising goals! Contact me today to get started. What kinds of organizations can benefit from this fundraiser? The list is endless – sports teams, cheer squads, mission trips, medical expenses, animal shelters…any organization that is in need of some additional funds. I’ve personally used Cards for a Cause to raise money for a family whose son had leukemia and for a breast cancer non-profit. Can you work with schools? No, right now I cannot work with schools or any organization, like a sports team, tied to a school. I can work with preschools that are not connected to a K-12 school. Where are the cards shipped? All cards will be shipped to one location and will need to be distributed by the organization. How much does my organization receive? Is there a minimum number of boxes that need to be sold? Yes, in order to qualify for a fundraiser, you only need to sell 15 boxes of cards. With the custom URL and promotional graphics I’ll give you, hitting that minimum should be a breeze! Is there a limit to the amount of money we can make? You’re not going to believe this, but NO! There’s no limit! You can sell as many boxes as you can! Your organization is in charge of collecting the money from the individuals who purchased cards. Money is due in full before the order can be placed. This will depend on your organization, but I recommend about two weeks. The timing may vary if you have on-site sales or specific events the fundraiser is linked to. What kinds of cards are available? Do you have pictures of the cards included in each box? Yes, see below for a thumbnail of each card. How long does it take to get the cards once they’re ordered? Processing times vary depending on the size of the order, but you can generally expect to receive your cards within 7-12 days after the order is placed. My daughter had another day off because her school is a polling place in our local elections. I swear these kids don’t go one week without day off or an early release. When we were kids, we only got off school if there was an alien invasion. Anyway, to make the day special, we took advantage of Marcus Theater’s $5 Tuesdays and saw Wonder Park. I loved it for several reasons! So much so that I came home and dumped popcorn on the floor so I could take pictures for this post I knew I wanted to write. When God formed me in my mother’s womb, he must have spent less time on the math part of my brain. No offense, God, but I just do not have it. I am more of a creative – give me words, colors, not letters or weird symbols in a math problem. I don’t want my disdain for math to rub off on my daughter though. She gets easily frustrated, but she’s GOOD at math, like really good. I want her to explore math, science, technology, engineering, and all of those predominantly male-dominated fields. She’s a strong-willed girl and I know she could do anything she sets her mind to. June, the main character in Wonder Park, is a spunky girl who loves to create an imaginary amusement park called Wonderland. Her mom encourages her imagination and together they create something magical! I love a parent who encourages their child to be imaginative, experiment, and entertain themselves. This is actually something I’m working on with my own kids! BUT, I think it’s also important to set boundaries. June decides to create a life-size amusement park that trashes the neighborhood and endangers her and her friend Banky. Her mom tells her that she wants her to keep imagining, but also use common sense; such an important lesson for kids to learn. In an age where we don’t just let kids roam in the neighborhood like we got to do in the 90s, it’s important to instill common sense. It has to have at least 2 women in the movie. These named female characters have to speak to each other. They have to talk about something other than a man. You’d be surprised at how many movies fail this test! In Wonder Park, you’ll see named female characters speaking to each other quite a bit about things other than a male character. June and her mom talk about Wonder Park, sickness, and imagination. June and Greta talk about how to fix Wonderland. Without giving too much away, June and her mom build this amusement park called Wonderland. When June’s mom gets sick and has to go away for treatment, June tears is all down and wants to forget about it. She ends up in a real-world version of Wonderland and finds that it has been destroyed by “the darkness.” The darkness represents the feelings of sadness, confusion, and grief she feels over her mom’s illness. I liked that June’s friend was non-white (Indian), but it seemed like they wedged him pretty firmly into a stereotypical “smart Indian kid” role. He isn’t even listed very high on the call sheet either. The plot was definitely not airtight. In many places it was like, uhhh what’s happening now? How did we get here? It’s definitely not at a Toy Story level of storytelling by any means. Why is the park called Wonderland and the movie called Wonder Park?! This is a small detail, but what the heck? Her mom got sick and had to “go away” to a treatment facility somewhere. They never went to visit her? Why did she have to go so far away? Was it cancer? I liked that they tried to include a difficult concept like this, but it wasn’t fully formed. My kiddo liked it, but it wasn’t her favorite movie. Some of the elements of the movie are frightening (chimpanzombies) so be careful of that if you’re thinking of taking smaller kiddos. * Bechdel Test definition from Wikipedia. Can’t Get Enough of My Opinions? Follow me on Instagram for even more fun! Lara and I are the only girl cousins on my mom’s side of the family. She’s a few years older than me and I’ve always looked up to her. She’s the reason I started playing volleyball! Check out this late 80s/early 90s goodness. We were all shook when my cousin, Lara, a super healthy runner/triathlete was diagnosed with breast cancer at 30 years old and 7 months pregnant with her second son. She spent many years “cancer free” living live as a mom to two boys. During that time, she created a non-profit called Hope Scarves in Louisville, KY that spreads scarves and hope to people facing cancer all over the world. About 7 years after her initial diagnosis, we found out that her cancer had metastasized to her sacrum. Her journey over the last several years has been a roller coaster of ups and downs, but she has remained hopeful and has raised hundreds of thousands of dollars for metastatic breast cancer research through her work with Hope Scarves. Each year, Hope Scarves raises money for metastatic breast cancer through their Outrunning Cancer teams at the Kentucky Derby Marathon weekend in Louisville. I had the pleasure of running in the event with my cousin, Lara, founder of Hope Scarves, in 2016! I won’t be able to run in Kentucky this year, so I wanted to contribute to this great cause in another way! In 2019, Team Outrunning Cancer/Hope Scarves wants to raise $55,000 and 100 runners/walkers. Because of the generous support of many, we raised $700 with this Cards for a Cause fundraiser! $700 Donated to Hope Scarves! Our Cards for a Cause fundraiser benefiting Hope Scarves and team Outrunning Cancer was wildly successful! We were able to raise $700 for Hope Scarves and team Outrunning Cancer! Looking for a fundraiser of your own? Learn more about how a Cards for a Cause fundraiser can help your organization raise money. Questions? Contact me to learn more about a Cards for a Cause fundraiser!